Our first can! 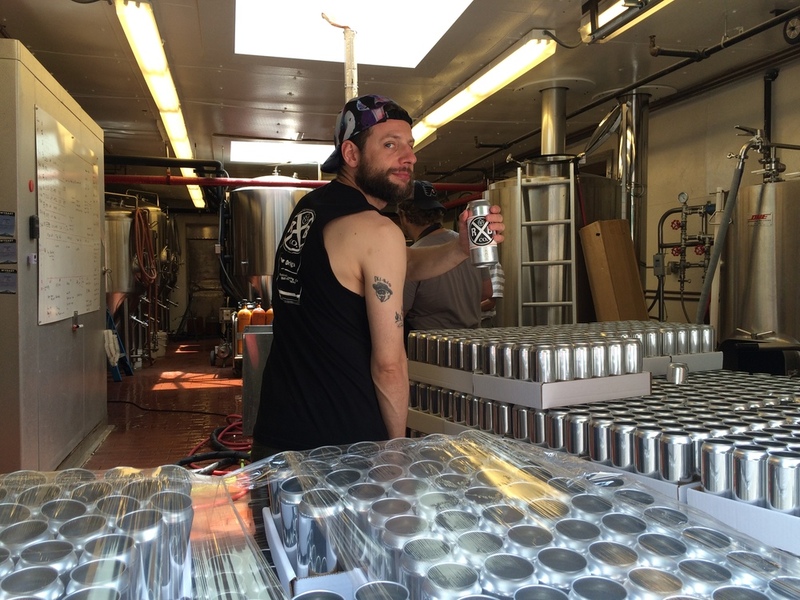 — Rockaway Brewing Co.
Brewing in our backyards in Rockaway. What a journey it's been! It all started in the backyards of our bungalows. From brewing beers together in Far Rockaway on our own rigged home brewing equipments - selling a couple of kegs at the time - to getting our own 3,000 square foot space in Long Island City selling 60-70 kegs a week. Our first set up in what now is the tap room. A new chapter has begun. From the first day he saw a can of Dale's Pale Ale, Ethan's dream has always been to can beer. After a Kickstarter campaign to raise the money to fulfill this dream we've finally canned our first beer! We know it's been a year since last summer's Kickstarter, but we are excited that it's happening now and want to share some of the moments from last Friday. A shout out to all our kickstart backers! Super excited for our first can! Cheers! Since we are so stoked about this release, we've been celebrating for two days! We got rained out at Caracas for the can party, so we dropped off 10 cases of our freshest Original ESB in a can. Why not have a day on the beach and then come join the Caracas crew for some cold ones? More High Plains Drifter to everyone!